Brothers George and Ira Gershwin wrote the music and lyrics for the Academy Award winning movie “An American in Paris” back in 1951. It starred Gene Kelly and Leslie Caron as the star crossed lovers, expat Jerry Mulligan a painter and dancer Lise Dassin who works as a salesgirl in between her dancing. Oscar Levant played Adam Cook a budding concert pianist working his way up the musical ladder, and his friend, Henri Baurel whose upper class parents expect him to go into the family business, but he has his eye on bigger things like becoming a song and dance man to his parents horror. 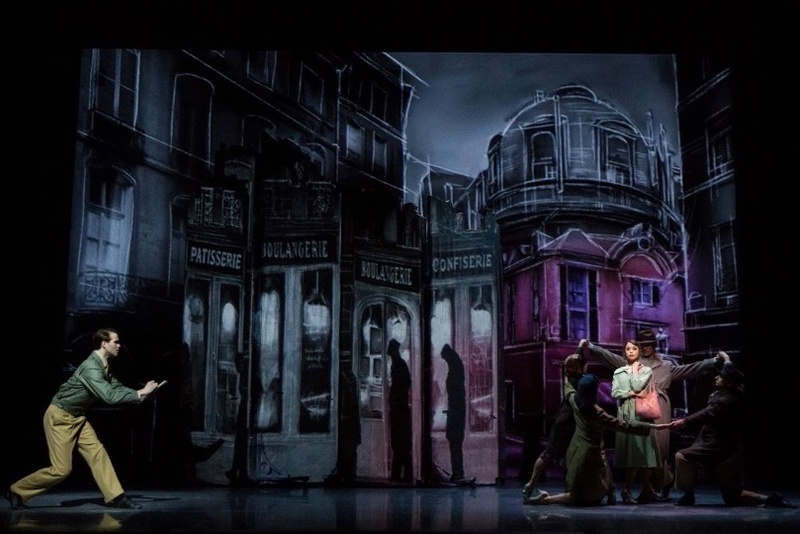 “An American in Paris” the Broadway musical with book by Craig Lucas (“Light in the Piazza”, Blue Window”, “Three Postcards”) is the closest thing a musical will come to following in the tracks of a movie. The Broadway production won four Tony’s in 2015, four Drama Desk Awards and four Outer Critics Awards. Somehow or other the contrived and convoluted love stories in the movie seemed a bit more palatable, perhaps because it’s set right after the war and Paris was just waking up from a bad dream and everyone then was looking for something to hold on to. But it’s now sixty odd years later and some in the audience weren’t even born at the time, and corn is out and realism is in. But the dancing! Ah the dancing! 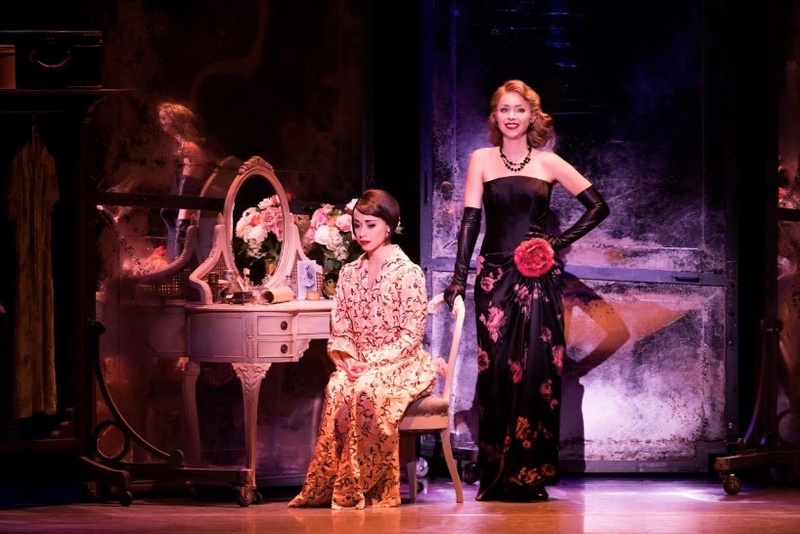 Director/choreographer Christopher Wheeldon brings with this Broadway production a dance lovers potpourri including tap, ballet, a bit of razzle-dazzle a la La Vegas style and ballroom. Bob Crowley’s set and gorgeous costumes are stunning and projections by ‘59 Productions’ give the entire show openness and enough sketch art and color to make sure we know we’re in Paris. John Weston’s sound and Natasha Katz spectacular lighting also contribute to the overall look and sound. Musical director/conductor David Andrews Rogers’ and his 13 –piece- orchestra and a large ensemble of dancers, singers and walk-on’s, complete the picture. If you can mouth “Stairway To Paradise”, “I’ve Got Rhythm”, “The Man I Love”, “But Not For Me”, “S Wonderful”, “Shall We Dance” and about fourteen other familiar tunes than you will fall right into line with the packed house at the Civic Theatre the night I attended. McGee Maddox and Sara Esty as the star crossed lovers Jerry Mulligan and Lise Dassin give off enough kinetic energy to make their dancing fete in the seventeen minute “American in Paris” ballet look like a lovers paradise. It is exquisite. When the two of them are on stage together it seems no one else matters. But there are others vying for their attention. Milo Davenport (Emily Ferranti) is a rich socialite who falls hard for Jerry and offers him an opportunity to show off his art at an exhibition she arranges. He’s iffy about it but there’s a price to pay. That story plays out along side the fantasy romance between Adam Hochberg (Stephen Brower) an injured GI and American who decided to stay put in Paris, and Lise and the real romance between Henri (Nick Spangler) and Lise. The conflicts and drama are real for Lise and Henri as past revelations are unraveled but again, a sideshow for the real business at hand and that’s dancing. 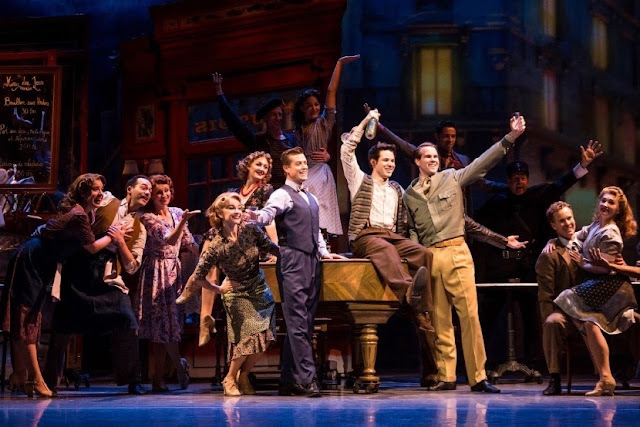 Cast of "An American in Paris"
Most Hollywood stories, musicals in particular, end happily ever after. This “An American in Paris” complete with an overall talented cast that sings dances and acts, is no different. We know how it will end, the too involved story just takes a bit longer to play out, but for the exceptionally gorgeous dancing it makes it all worthwhile. It’s a savory treat for dancers and all comers. It's well worth catching.